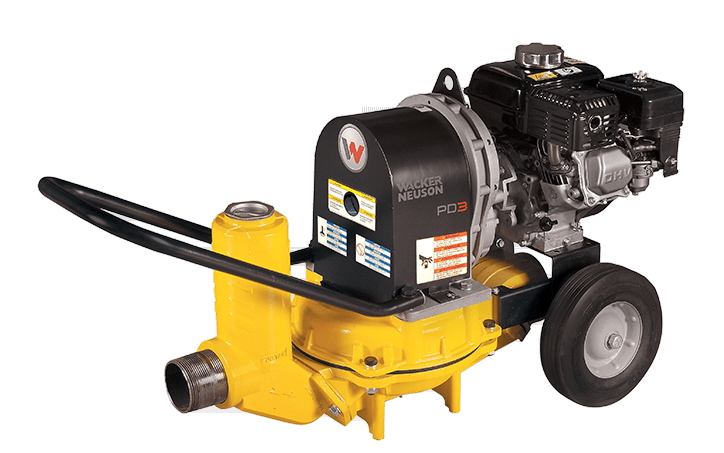 The PD 3 diaphragm trash pumps can move almost anything that flows. A 3-inch pump that can handle solids up to 1.625 inches (41 mm) and up to 88 gpm (333 l/min), these pumps are ideal for moving water with mud, slurries and in seepage areas. Built with high quality component, you will be assured of many years of top performance and durability. Large solid rubber tires provide excellent traction and smooth rolling over rough terrain.